Here are two new(ish) books worth your attention and interesting in different ways. We don't stock either book, but the links showing where you could get them are below. "John Green: 18th Century York Planemaker" by Peter Young should appeal to anyone interested in social and business history. The book's subtitle is "The Rise and Fall of a Business Empire," consists of three sections. The first is the saga -- and it is a saga -- of the Green family, from its from humble beginnings to be a major powerhouse of 18th and early 19th century planes. The story of the Greens of York is both a human and business story. England was then in the throes of the Industrial Revolution and the growth of business dynasties like the Greens' happened in many industries; the Greens' happened to be in toolmaking. 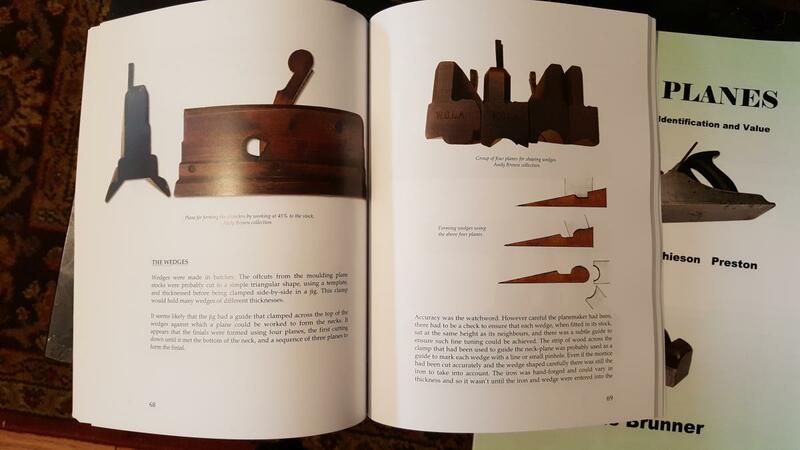 The second part of the book is how plane-making was done industrially. This is different from you or I making a few planes. This is a look at how factories make huge numbers of wooden planes, by hand with the aid of many jigs and production methods. Finally you have a section, mostly for collectors, detailing different types of planes by John Green and their characteristics. The author, Peter Young, is a passionate collector of planes, and he has the intellectual curiosity to explore York's rise as an unlikely center of toolmaking. The writing is good, the narrative compelling, and I learned stuff. You can order a copy here. 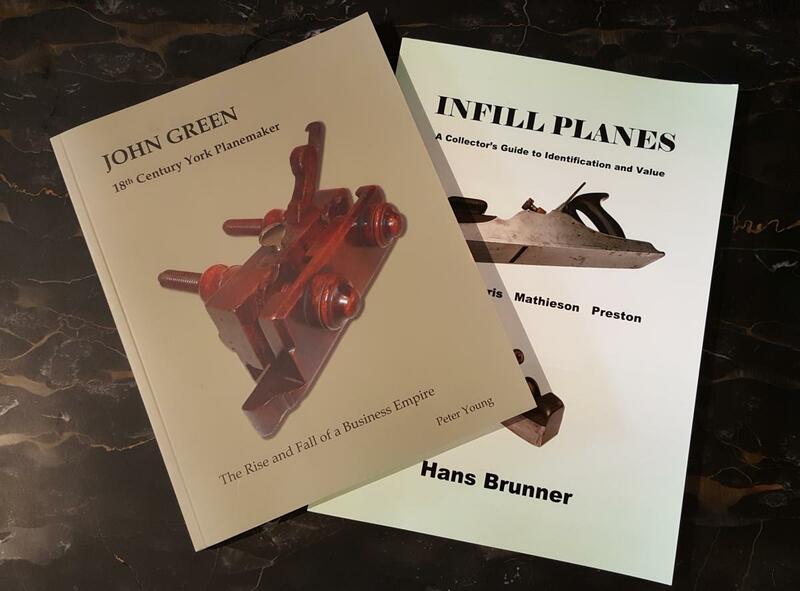 The second book "Infill Planes - A Collector's Guide to Identification and Value" by Hans Brunner is the most comprehensive book available on the history and planes of the top four infill plane makers: Spiers, Norris, Mathieson, and Preston. 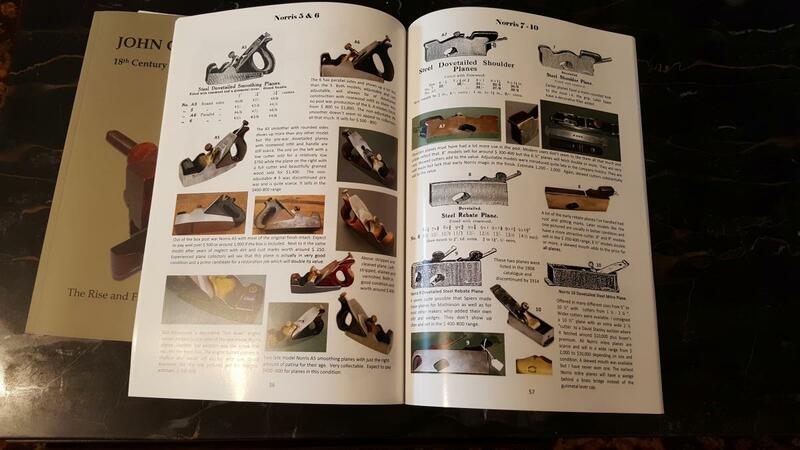 The author, a well-respected Australian tool dealer who often sold as many as 2,000 tools per year, describes his book as "the result of two decades of answering the same questions over and over again: What is it? When was it made? How much is it worth?" The book includes photographs from Mr. Brunner's library of over 60,000 images with some help from his customers. The book is intended to be a savvy guide to tools that might actually show up in the market, "not a showpiece of unique, perfect and basically unobtainable tools." There's quite a bit of background history of the major firms, some of it new to me. I have to note that Mr. Bruner did not sell me on all of his views: for example, I think his notion that the screw lever cap was an copy of an American idea is totally wrong. To my knowledge, the screw lever cap was introduced in Britain in the 1840's by Fenn. But putting that aside, I think anyone who is interested in English steel or infill planes should get a copy. Brunner is a thorough and companionable guide who strikes a note of well-informed admiration for the planes and their makers. I will be teaching a free two hour class on measuring in the shop tomorrow June 23 at 6:30. Click here for more info. We visit NY frequently enough and I've often fantasized about having relocated there. Too late now, but maybe some day I can visit. The Hardware Store saw did quite well on its first outing.